As far as I can tell, the band played at its first NCAA Tournament in 1969, cheering on the eventual semi-finalists in the first three rounds in Philadelphia and College Park, MD. Here, <http://band.princeton.edu/wiki> you can find an editable list of the band’s tournament appearances. Please take a look and let us know about any trips or stories we may not know about. 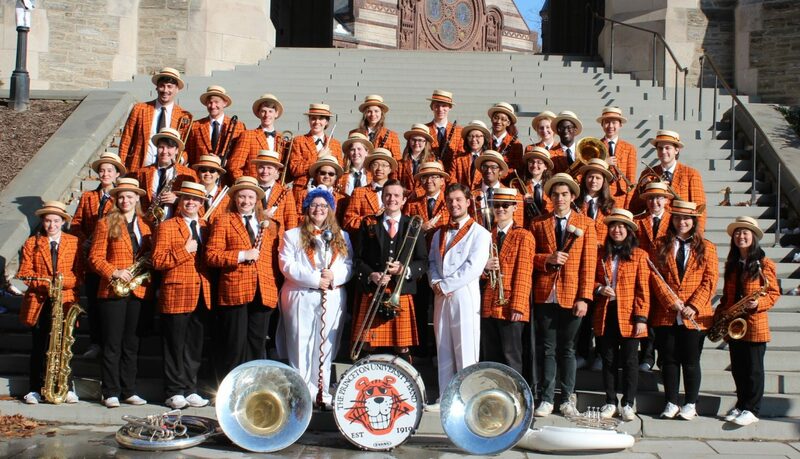 This week, is a week full of firsts for Princeton basketball and the band. This evening, the men played in their first ever College Basketball Invitational Tournament game, in Jadwin Gym against Duquesne University. This was their first postseason bid since 2004, and the band, faithfully on campus for spring break, cheered them onto victory! They will face Indiana University Purdue University – Indianapolis on Monday in Indy. Saturday, the women’s team will play in their first ever NCAA Tournament against St. John’s in Tallahassee, FL. The band will be joining them, so check back here next week for a trip update from your Alumni Coordinator Jacquelyn Nestor ’12. That’s right, the band has never been to sunny Florida before this weekend. Did you know that in the last 3 years, the band has ventured to 4 states for the first time? Wisconsin, South Carolina, Minnesota, and now Florida are all on the list. Check out the women’s team and the band on ESPN2, or online at www.espn360.com, this Saturday at 12:21 pm Eastern time! Then watch the men’s team take on the Jaguars on Monday on HDNet at 7:00 pm Eastern time. GO TIGERS! BEAT ST. JOHN’S! BEAT IUPUI! Next PostNext A Month Of Firsts!